An east London borough was recognised for its work to reduce child deprivation in an award ceremony on Monday. Tower Hamlets Council received the Corporate Commitment Award for its efforts to tackle child poverty across all areas of the organisation. Other nominees for the accolade include Islington Council and Islington Strategic Partnership, Bayswater Family Centre and Waltham Forest Local Strategic Partnership. 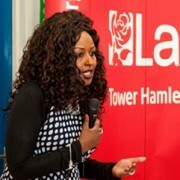 Kevan Collins, Tower Hamlets’ Chief Executive said: “Our child poverty strategy is clear – we are going to lift more than 1,000 children out of poverty in the borough by March 2011. Held at the Barbican Centre, the awards were set up to celebrate the efforts of those helping to improve the lives of struggling families in the capital. Also honoured was Tara Khanom, an Employment Advisor at Lincoln and Burdett Children’s Centre in Tower Hamlets, who was the runner-up for the Outstanding Practitioner Award.